27th August 2006 – I didn’t feel much better, but decided to do a hard job, one I’ll never do again. In my front storage space, there was a spare anchor chain. Since I want to move my anchor from the back to the front, I needed the chain to be placed on my winch. The spare chain was all rusty and rather looking like a spaghetti. It took me three hours of continuous work to put the chain in place. My deck is now a big mess, full of scratches and rust. Whenever I have the time I will pour some oil on the chain. 26th August 2006 – Today was a hard day in many ways. 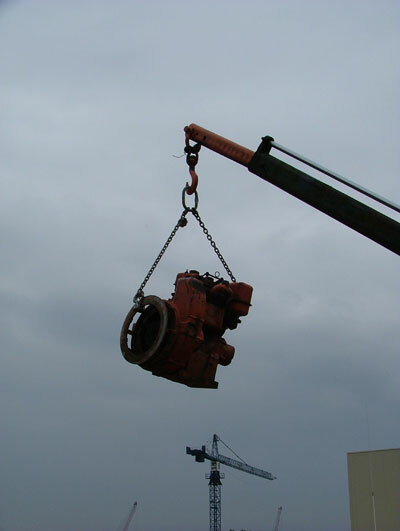 I was ill, the weather unstable and I had a Lister 2 cylinder to move from my home place in Ostend onto my boat. We needed the crane boat of Rinus to get the Lister on the front deck. On that same moment, we also placed two water tanks aboard. They will be used as dirty water tanks. They were free, so I took them. I’m not sure where I’ll put them in the end, but they are useful anyway. In the worst case, I just use them as ballast tanks. Andy bought a new boat. 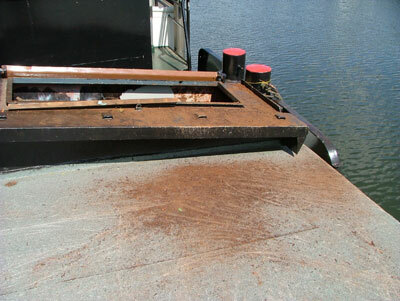 It is a spits barge from 1924 with GM engine. 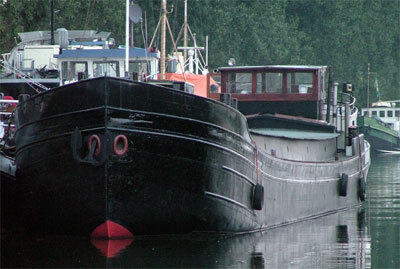 A typical barge. The accommodation was in front of the wheelhouse, and was in line with the den of the hold. Some more accommodation was added. Some part of the hold was converted, but most of it had to be redone. A nice ship in some ways. The bottom was replaced in 1992 with a 8mm plate. On his deck he had a small garden. I took some of it and placed it on my deck. At least some green. A Dutch barge can always be recognized by flowers and a bike somebody once told me. 12-13-14th August 2006 – I painted the engine room today. This was the last part, besides the cargo hold, that needed to be repainted. Next week, we’ll start rebuilding the roof and den, now in metal. The new construction will be a flat deck at the wheelhouse, an entrance at about 1,45m and then the original sides for the hatches. These works will take around 2 months. 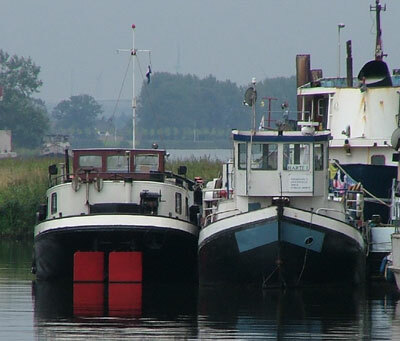 During this period the boat will rather look sad, rain coming in and no roof, just like I found her in December 2005. 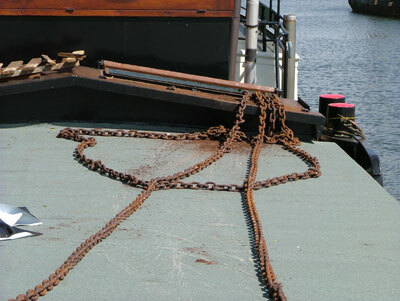 11th August 2006 – The ship has been moved under her own power from the yard to its mooring a bit further in the dock. My neighbour did the job while I was away. I wanted to be there, but sometimes you need to work to earn some money. 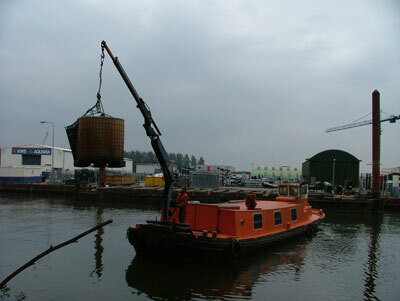 2nd August 2006 – The Watergeus is finally floating again. Fully repaired, she was launched from De Schroef at 10:00am. I visited her a couple of hours later and she looked very good. I believe today is a very important day in the history of the Watergeus, or at least to me. It is not buying the boat that is important, but the maintenance and the yard visits that make her special (and valuable)!